Penguin Problems is the story of a grumpy, yet loveable penguin which spends his days whinging and whining about his conditions. Penguin lives in Antarctica but instead of relishing in the beauty and freedom of his surroundings, he constantly complains about how difficult life as a penguin can actually be. He whines about the cold, the snow, the sun, the noise, his waddle, and the fact that the ocean is too salty and inconveniently full of predators. And can you imagine how hard it is to find your mum in a big crowd of identical penguins? Well, it’s almost impossible, according to Penguin. One day while Penguin is busy complaining, a clever walrus offers him a more balanced view. Walrus tries to make Penguin realise that things aren’t as bad as he thinks. He encourages Penguin to focus on the good things in life and to remember how much he is loved. Just when it seems like Penguin concedes with Walrus’ point of view, Penguin’s cranky old ways resurface and readers are once again reminded about why life in Antarctica is so terribly difficult. 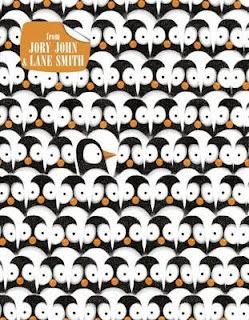 This hilarious picture book is the first collaboration for John Dory and Lane Smith, a four-time recipient of the New York Times best illustrated book award. It is delightfully witty and face-paced, and is overflowing with quirky illustrations that will put a smile on the face of anyone who reads it. 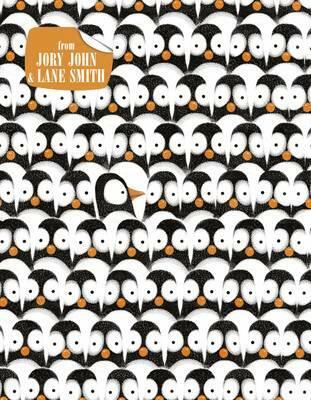 Penguin Problems is perfect for readers aged 3-8 years but even adults will find themselves laughing out loud when reading to their children. It is a delightful, fun-filled book and a wonderful bedtime read.